How to Lose Weight During Menopause - 5 Menopausal Weight Loss Tips! 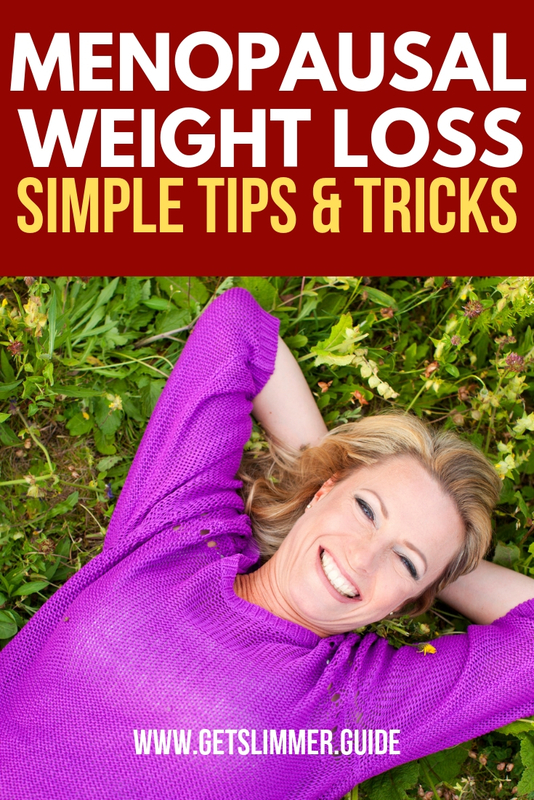 How to Lose Weight During Menopause – 5 Weight Loss Tips for Menopausal Women! 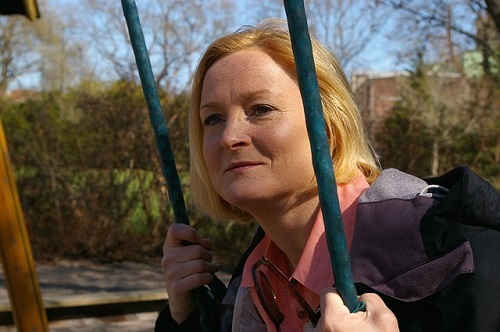 If you are looking for how to lose weight during menopause, then you are in the right place. As women, we tend to have a harder time losing weight than men. Once we reach menopause, the journey to a fit body becomes even more complex, thanks to the shifting of our delicate hormone balance. As our bodies change with this phase of life, our mindset can also shift, making motivation more difficult. But don’t be discouraged because we will be providing some helpful weight loss tips for menopausal women in this article. Let’s take a look at what happens during menopause, and how we can work with our bodies to lose excess weight and get healthier. It’s not Just about Calories. It’s also about Hormones. Our body weight is controlled by two main factors: how much we eat, and the hormones that control whether we burn or store extra calories. As we age, our estrogen and progesterone decrease, while insulin and cortisol increase. We need all these hormones for good health, but it’s the balance that’s important. Estrogen and progesterone act against insulin and cortisol. Insulin and cortisol both drive our bodies to store more excess fuel, aka excess calories, as fat, usually around our middles. In a more balanced environment, insulin can help us build muscle and cortisol helps to regulate our sleep-wake cycles. But when there is so much more of these hormones in proportion to the others, the balance breaks down and we get many unpleasant symptoms, weight gain included. Fear not! This weight gain is not inevitable, and if you have already gained some extra weight, either before or during menopause, there are solutions to help get you back in shape. Let’s take a look at the strategies we can use. A big tip to keep in mind is that most of the advice you see in the news and in advertisements are for men, and for younger women, and most likely won’t help you. These groups are the main focus of most of the studies and attention in our media, and much of what they share can sabotage your progress. Start your day by eating breakfast, ideally within 30 minutes of getting out of bed. You don’t have to eat much, but you should focus on protein, with a little bit of fat, and a little bit of carbohydrate. Choices like cereal, bagels, or exclusively fruit will raise your insulin too high, and when it drops 2-3 hours later, you’ll be ravenously hungry, and will be prone to overeating. Plus, you’ll have that feeling of needing a nap, and your thinking will be slowed. 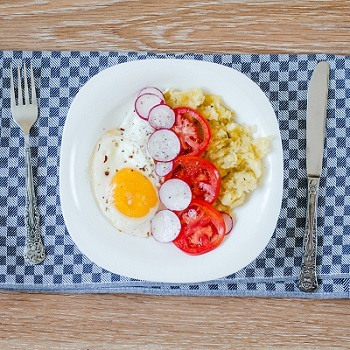 Protein early in the morning helps to stimulate the release of the hormone leptin. Leptin controls our feelings of satiety, so that we feel satisfied after a meal, and are less likely to be hungry in 2 hours when our bodies don’t need more food yet anyway. Stable levels of leptin throughout the day help to keep insulin and cortisol under control, so you won’t get the wild blood sugar spikes and drops that can cause cravings for junky foods and periods of extreme fatigue. Leptin also works against ghrelin. Ghrelin is the hormone released into your bloodstream, telling your brain that you’re hungry and you need to eat. It’s released in large quantities when our blood sugar drops after a big spike, so we want to minimize those extreme drops. A couple of scrambled eggs with mushrooms and bell peppers would be an ideal breakfast, with a few strawberries on the side. Eggs are a great choice overall because they have easily absorbed protein and good fats. Pairing them with a vegetable makes a well-rounded meal. Bacon, sausage, or even fish can be a good base of your first meal, with a small salad or steamed veggies to go with it. Protein shakes can be an option, but check the ingredients. You want to avoid soy because it tends to disrupt hormones, and you want your shake to be under 30g of carbohydrate while getting at least 25g of protein. Dieting, especially crash dieting is harmful to your metabolism no matter your age. As a woman in menopause, the shift in your metabolism is even more dramatic, and eating too little food for even a few days can cause fatigue and the desire to overeat for weeks, if not months. This rebound is a common cause of weight gain in menopausal women. Instead, aim for 3-4 meals through the day, continuing to keep the focus on protein. Protein helps keep the metabolism running, helps to preserve muscle, and is difficult to be stored as fat. Fat is something many women have shied away from, but it’s important to note that fats are essential to a healthy body. Make sure to have a little fat with each meal. Seed oils, like canola, corn, and soy are inflammatory, so they should be avoided. For unheated foods, olive oil is great, as in a salad dressing or dip. For cooking, use oil that is safe at high temperatures, like avocado oil, coconut oil, or even a little butter. Fat maintains the membranes around your cells, fuels your brain and heart, and is needed for proper nerve signalling. It’s also the backbone for all of our hormones. This means that fatty foods are not off limits, but the quality and quantity matter. Choose moderate amounts of foods like avocados, chicken thighs, and fatty fish. If you find that you can digest dairy well, cream and cheese are acceptable, but these foods are very calorically dense, so keep these foods to less than 5oz per day. Nuts are also a good choice, though it can be easy to overdo them. A serving size is an amount that fits in one shot glass, so make sure to measure…and don’t go back for multiple servings. Some people eliminate nuts from their food plan simply because they find it too easy to overeat them. So what should you eat? Shift your food choices to fresh options, and cook as many of your meals as possible in your own kitchen. Purchasing fresh ingredients ensures that you know exactly what is in your food. As a bonus, choosing organics will help you avoid pesticides that are speculated to worsen hormonal conditions. Vegetables should be the base for all of your meals, cooked lightly to preserve nutrients. Salads are a good start, but not everyone is a fan. You can make stews or soups, or get creative with roasted vegetables and a variety of seasonings. Fresh and in season is best, but if fresh isn’t available, aim for frozen. Frozen veggies are harvested at the peak of their ripeness, so they’ll taste the best and have the most retained nutrients. Stay away from canned, as not only is the texture less palatable, but the processing has destroyed many of the vitamins. Vegetables are also full of fiber, so you can keep your digestion running smoothly. 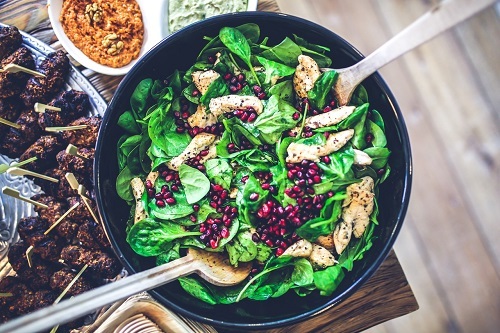 Protein sources are the next focus on your eating plan. Fish is your best choice since it has a great nutrient profile and is lower in overall calories. Baked or steamed will keep those calories low, so opt for those instead of deep frying. Chicken is another sensible choice, and some red meat like pork or beef once or twice a week is just fine. Fruits are a good addition to your foods, and in their whole, fresh state is best. A couple handfuls of berries or a couple pieces of fruits or melons per day can be a nice sweet treat. More than this, however, will be too much sugar and can make you gain weight instead of losing it. Don’t completely avoid fruits though, as they also contain fiber as well as the types of sugars your body can use efficiently for energy, as well as many vitamins that will help boost your weight loss. Bright and deeply colored fruits will have the most nutrition. Fruits are wonderful but in moderation. This is the same problem with many grains and starchy foods. They are extremely easy to overdo when you are looking to lose weight, and will drastically raise your blood sugar and insulin. If you want to include these types of foods in your eating plan, keep it to a quarter of a cup per meal or less. Pasta, bread, potatoes, sweet potatoes, rice, and corn should be reduced as much as you can. Some people can eliminate them, but others find that a diet without these things leads to fatigue and mood irregularities, so experiment to see where you feel best. As a general guideline, aim for approximately 1300 calories per day. Steady state cardio, such as distance running or lengthy treadmill use, shifts your hormones into an even more unbalanced state and can cause you to pack on even more pounds, even though you’re putting in a lot of effort. The biggest problem with chronic cardio is that it’s damaging to the heart. Constant running is something our bodies aren’t designed to handle particularly well. It puts a great deal of stress on the body and, you guessed it, has a negative impact on hormone balance. It skyrockets the cortisol your body produces, leading to inflammation (which in this case is often seen as joint pain) and signals your body to hoard fat around your waistline. Running isn’t all bad, though. Running in bursts, like sprints, is a great idea, as it gives your heart a chance to recover. High intensity exercises done for a short time with a recovery period between sets are a great way to maintain sensitivity to insulin (and your ability to digest carbohydrate foods without blood sugar spikes and drops) and helps your body burn both sugar AND fat as fuel. During the exercise phase, your body burns glucose (carbohydrates, like sugar, from your bloodstream) and glycogen (the storage form of carbohydrate in your liver and large muscles). During the recovery phase, your body shifts into the fat burning mode, since you’ve burned up all your short term energy. Aim for approximately 30 minutes per session, putting in 60 seconds of effort followed by 90 seconds of rest in your cycles. Sprinting isn’t the only option here, though intensity is key. Sprinting is easy for many people, since most of us know how to sprint, and it requires no equipment. Burpees, squats, and kettlebell swings are also common, though there is quite an array of exercises to choose from. Avoid YouTube examples unless they are done by a certified trainer. Better yet, hire a trainer for a couple of sessions to make sure your form is correct, and find the exercises you enjoy most. Not into intense exercise? That’s OK too because plain old walking has been shown to have excellent benefits, even for weight loss. It doesn’t qualify as chronic cardio, because you aren’t pushing your heart that hard. But evidence suggests that walking for at least an hour a day can help keep cortisol under control and keep your tummy trim. Tip #4. Get Your Head in the Game – Consistency is Key! It can be frustrating to see the pounds come off slowly, and even more frustrating when a husband or daughter is losing weight faster than you are, even on the same plan. Consistency is your friend, here. You may not see instant results, but you WILL see them. It’s best to have some focus on physical activity every single day so that you don’t get caught in a loop of having to re-motivate yourself after a day off. Make it a habit, so you don’t even have to think about it. You just do it. You can enlist the help of friends who are facing the same challenges as you are, and keep each other accountable, even walking or working out together. It also helps, when changing your way of eating, to celebrate the things that you CAN have, instead of dwelling on the things you are choosing not to have. Spend a little extra time in the kitchen making something you will truly enjoy, and try healthier versions of recipes for things you love that you know aren’t the best for you. If you like to have friends and family over, make a selection of foods you can eat and still lose weight instead of ordering take out. Planning is also absolutely essential to your success. If you’re cooking for dinner, make extra so you have easy leftovers for the next day or two. You can also batch cook your meals for the week, so you don’t have to make any big food decisions for a few days, and the work is condensed into only a few hours. You can keep a personal recipe book of favorites. It’s especially important for those of in menopause to not cheat on your food plan. It’s very easy for your bodies to store excess calories as fat, and much harder for you to burn it off. If you must choose foods that you know aren’t the best, have less than you normally would. However, make sure to savor each and every bite. Enjoy it deeply! And be happy you ate it after you ate it. There is no need for guilt, just be mindful not to go overboard. Tip #5. You Can DO This – Don’t Give Up! The absolute most important thing for you is to know that you can, in fact, achieve a healthful, slim body. Believe that you truly can achieve your goal in losing weight. Begin your day by doing one healthful activity for yourself, whether it’s breakfast, going for a walk, or taking time out to meditate. This one early morning action will help set the tone for the day and will help to keep you on track to reach your goals. The changes you are making to your lifestyle now will have dramatic effects not only on your weight, but also on your overall health. You’ll be able to live a longer, healthier life while having fewer health issues, less pain, and the energy to do the things you love. It isn’t a question of IF you can commit to these changes. You absolutely can. You are capable of changing your life for the better. The only question is, are you ready to? 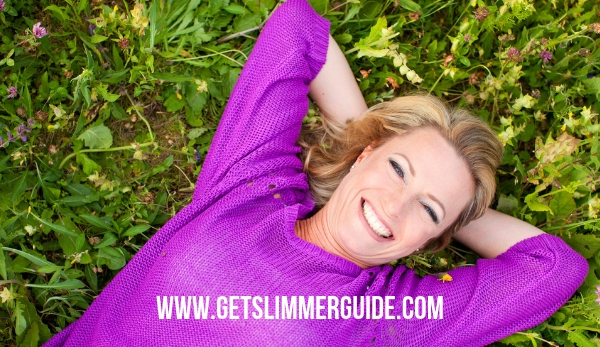 Do you have any other tips on how to lose weight during menopause? Feel free to share in the comment section.